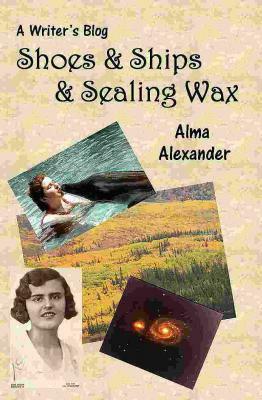 Fantasy novelist Alma Alexander has recently experimented with the Espresso POD machine installed in her local independent bookstore, Village Books in Bellingham. “It wasn’t a hugely commercial project,” she said, “and it probably wouldn’t have been interesting to my regular publishers – so I put it together myself, this little book of a selection of the best of my essays which appeared on up to five different blogs over the last five years or so plus a couple of original essays never before seen in public. I called the little book “Shoes and Ships and Sealing Wax” – because, naturally, the time had come to “talk of many things”. Posted by Kelly Christiansen on Nov 20 2010. Filed under Book Release. You can follow any responses to this entry through the RSS 2.0. Both comments and pings are currently closed.